Product prices and availability are accurate as of 2019-04-19 20:44:25 UTC and are subject to change. Any price and availability information displayed on http://www.amazon.com/ at the time of purchase will apply to the purchase of this product. 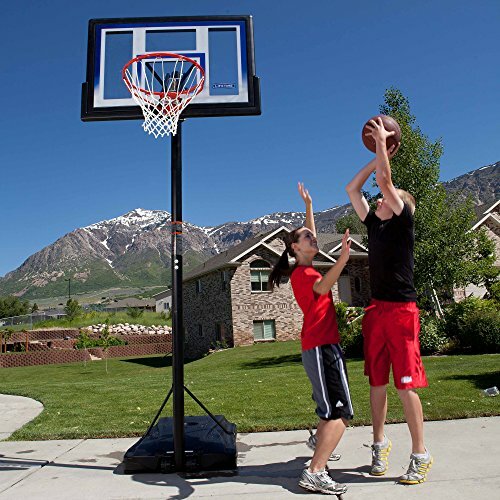 Turn your driveway into a serious basketball court with the Lifetime 48-Inch Portable Basketball Hoop. 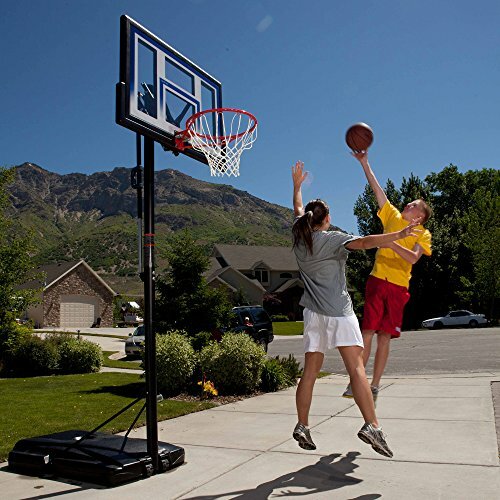 This state-of-the-art portable unit uses the latest technology to ensure a quality game in any driveway. 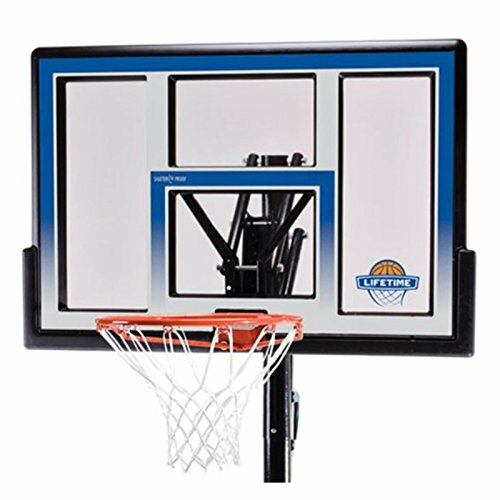 The shatter-proof 48-inch Fusion backboard brings together a polycarbonate playing surface with an unbreakable polyethylene frame for a durable, professional look. Graphics are screen-printed with UV-protected inks for vivid color that lasts outdoors. 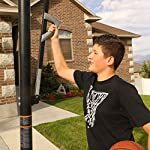 As far as the rim, the Slam-It features double-compression springs which launch the ball back into play, and an all-weather nylon net. The Speed Shift unit allows you to easily adjust the height of the rim from 8 to 10 feet. 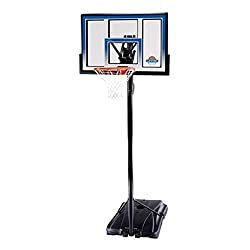 Although your slams are sure to shake things up, you'll want to keep the hoop in place, so the three-piece round steel pole is supported by a heavy-duty 31-gallon portable base. Just fill it with sand or water - no cement is needed. 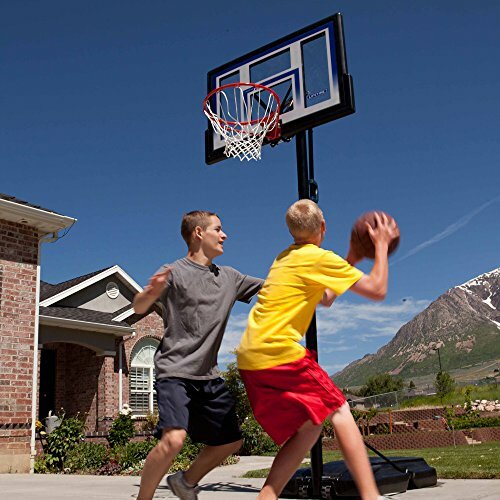 One of the largest manufacturers of blow-molded polyethylene folding tables and chairs and portable residential basketball equipment, Lifetime Products also manufactures outdoor storage sheds, utility trailers, and lawn and garden items. Founded in 1972 by Barry Mower, Lifetime Products operates out of Clearfield, Utah, and continues to apply innovation and cutting-edge technology in plastics and metals to create a family of affordable lifestyle products that feature superior strength and durability. 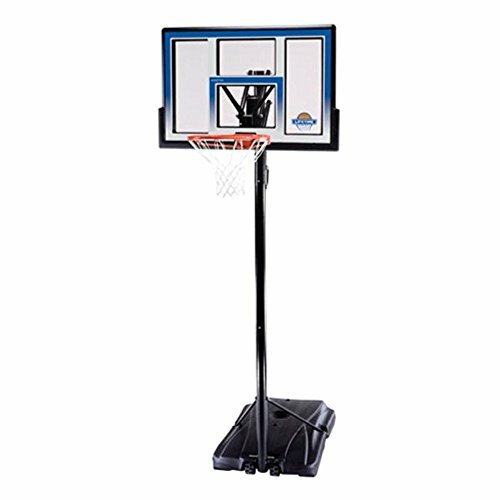 48-inch rectangular polycarbonate backboard. 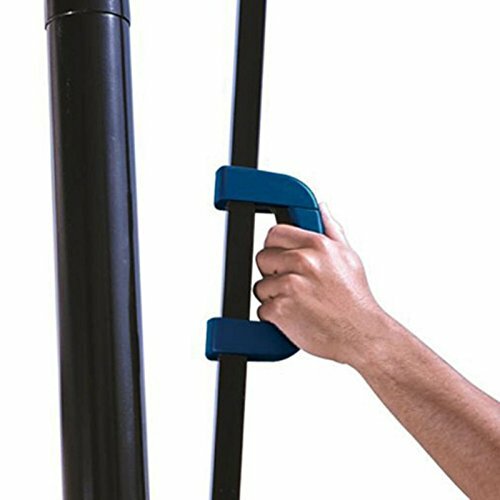 3-inch-thick steel pole. Simple 1-handed height-adjustment system. Height adjusts between 8 and 10 feet. 31-gallon heavy-duty portable base. Slam-It rim features double-compression springs.